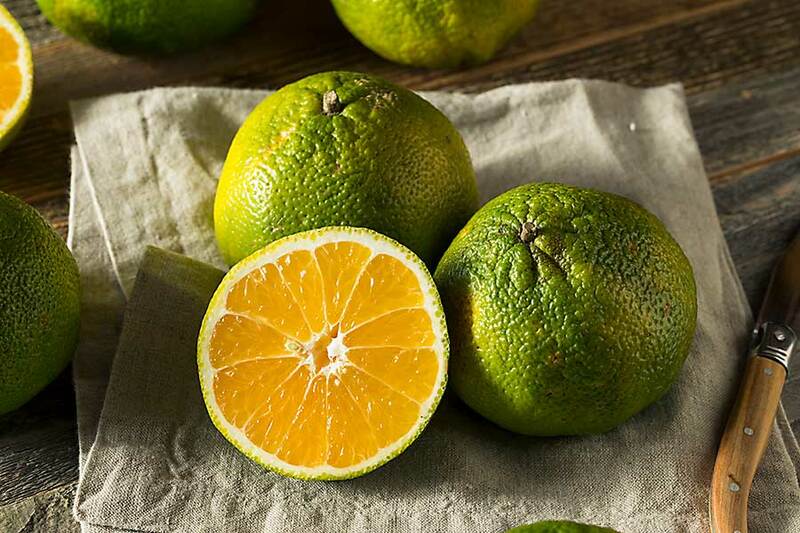 A citrus fruit hybrid between a grapefruit and a tangerine native to Jamaica. It is available around the country from Winter to Spring. 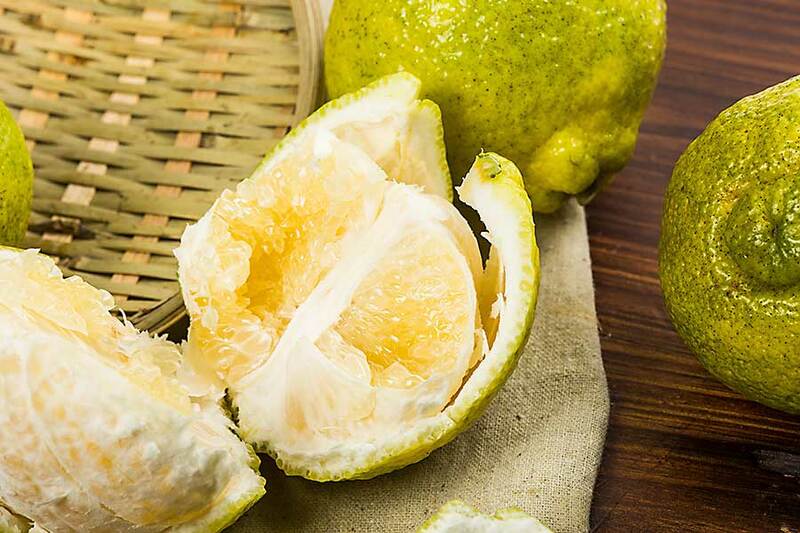 It has an acid sweet flavor and is an excellent source of vitamin C.